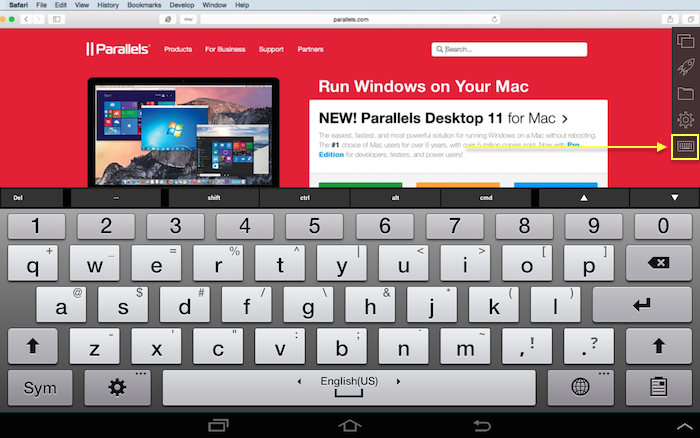 Parallels Access has an advanced keyboard feature. This is a full keyboard including navigation keys, F1-F12 function keys, Ctrl, Alt, Delete etc. Tap on the keyboard icon to activate. How to hit a shortcut? To hit a hot key simply tap on the keys you need in right order. Functional keys like Ctrl, Alt will turn blue if you tap on them so to pass a shortcut to an Application simply tap on the keys needed (Ctrl + Alt + Delete; Ctrl + C) etc. How to make some function keys always visible? NOTE: There are several low-level shortcuts (e.g. 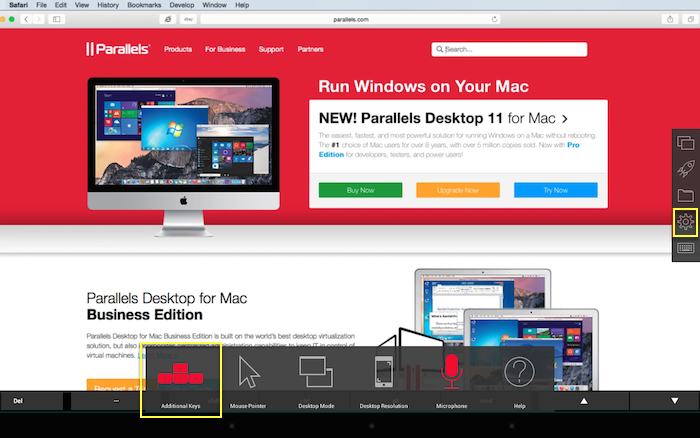 Cmd+Tab, Cmd+Space) that can't be transfered to the remote computer due to iOS peculiarities. The Keyboard will look display the keys you have pinned. 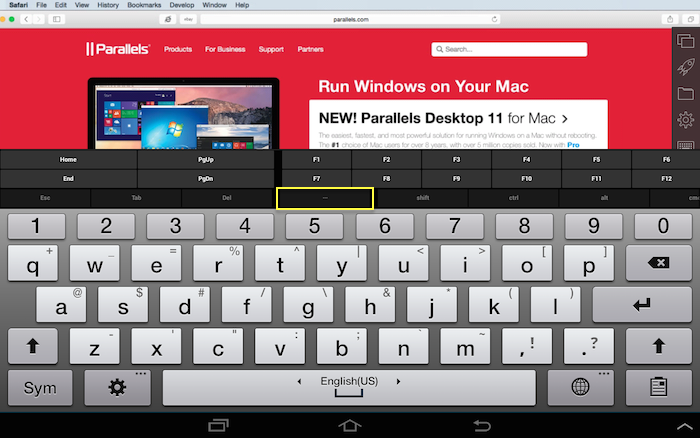 To show original keyboard you can either tap on the Keyboard sign or use 3 fingers tap gesture.